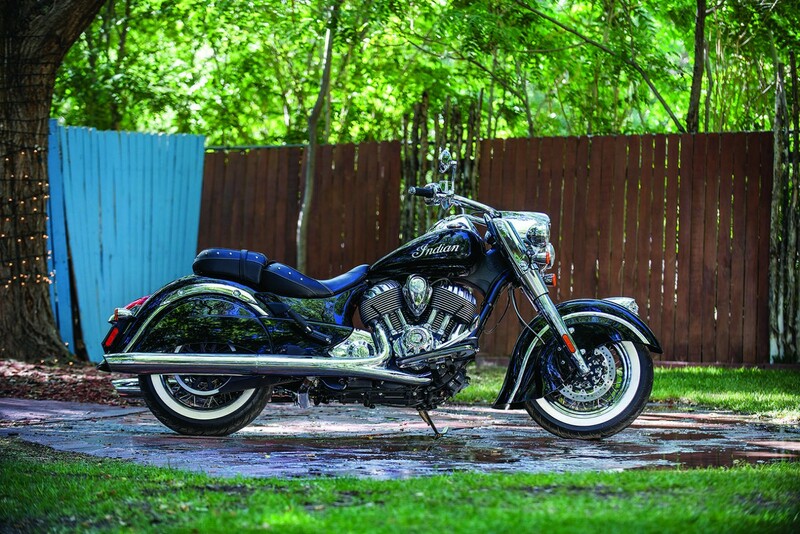 The team over at eBay Motors are running a sweepstakes until the 14th of April, the first and second prizes are a Cadillac CTS and a 2014 Indian Chief Classic respectively – in order to win you just need to click here and set up your eBay Garage (it takes 90 seconds). 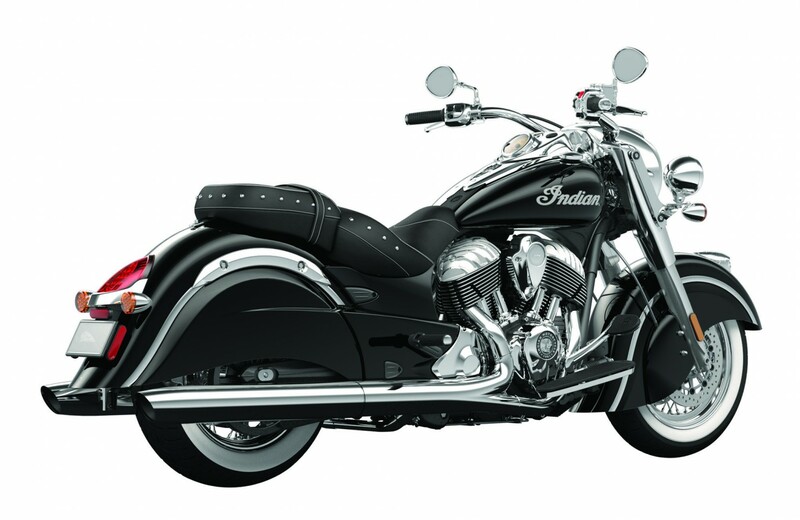 The now legendary Indian Motocycle Co. was founded by George M. Hendee and Carl Oscar Hedström in 1901, the two men were both successful bicycle racers who had encountered some of the early motorized cycles and immediately saw their potential. 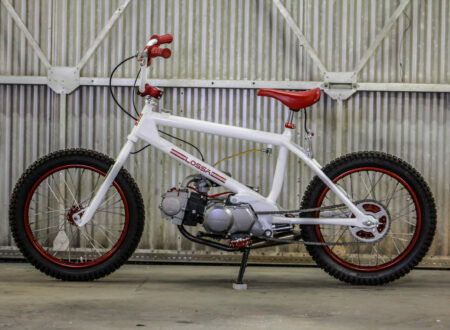 Three prototypes were built in 1901, each with a chain drive and narrow, streamlined styling – a valuable aerodynamic characteristic brought forward from their experiences racing push bikes. By the time 1902 rolled around the two men were producing and selling their first production “moto cycle” to the general public and enjoyed some significant, immediate success. 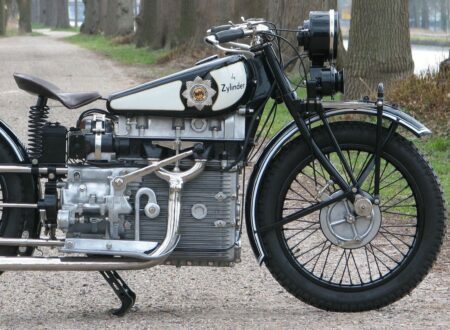 A year later in 1903 Hedström took a production Indian up to a top speed of 56mph, breaking the international motorcycle land speed record. 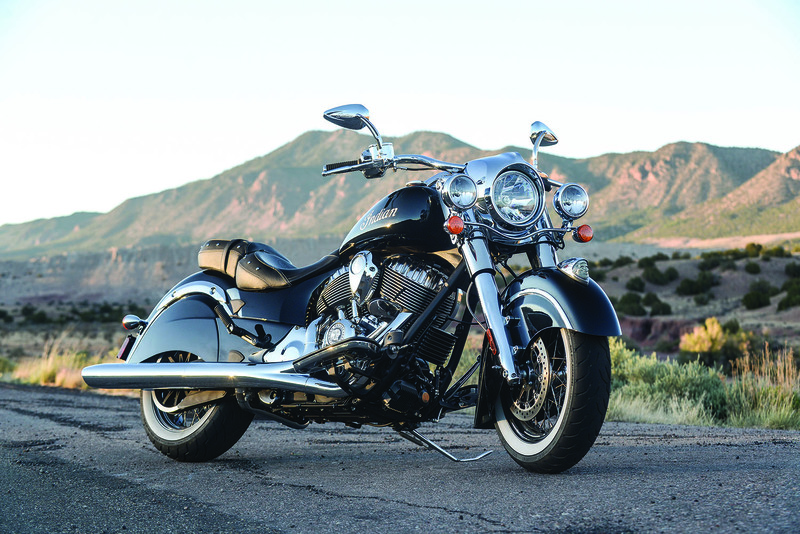 By 1911 Indian Motorcycles held every American speed and distance record, they also swept the top three positions in first Isle of Man Mountain Course Race, cementing the new company’s place in the annals of motorsport history. 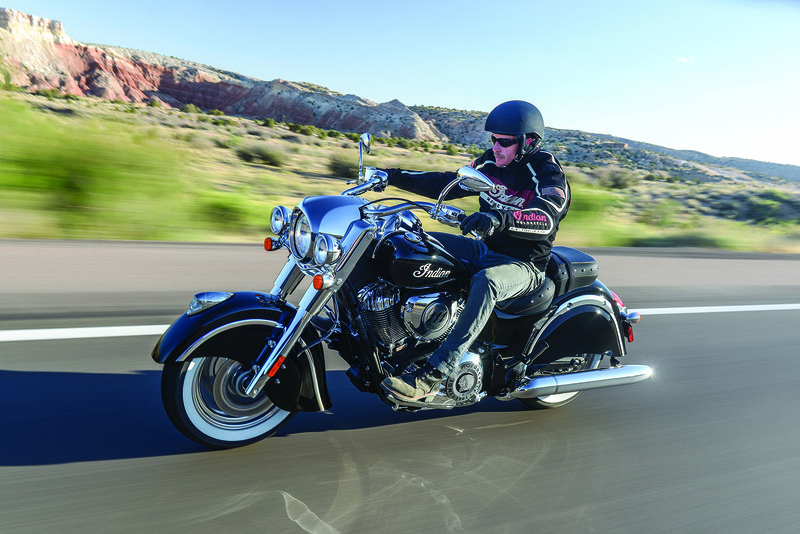 Skip forward a little over 100 years and Indian Motorcycle is back, with an all new 111 cubic inch V-Twin and a series of three new models – all squarely aimed at the heart of the American cruiser market. 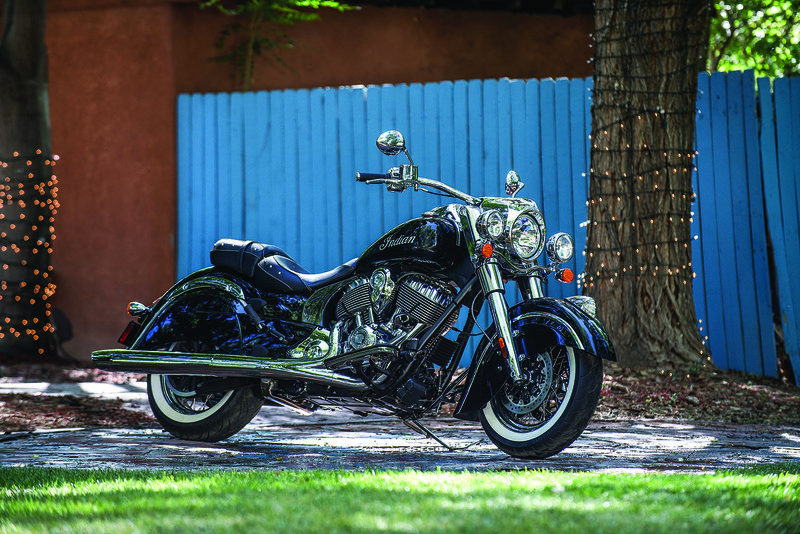 When pricing on these new models was announced some serious feathers were ruffled amongst the competition – the new Indians were priced below the competition from Harley-Davidson and Victory Motorcycles, making them the most significant new choice in the genre for decades. The model we’re featuring here today is the Indian Chief Classic, it’s MSRP is $18,999 which drops it in just below comparable offerings from Milwaukee. 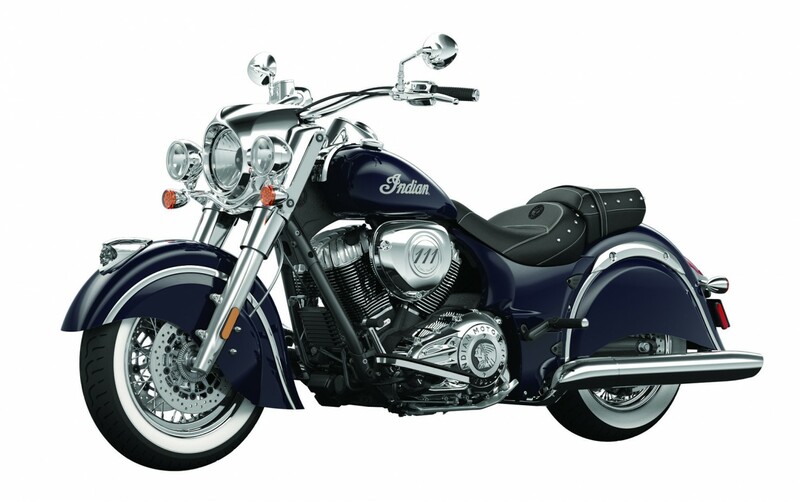 It’s fitted with the company’s new 111 cubic inch V-Twin that produces 119 ft lbs of torque, the frame is an advanced, light-weight cast aluminium design and the bodywork is unmistakably Indian – from the swooping fenders to the large saddle and fuel tank mounted instrument panel. 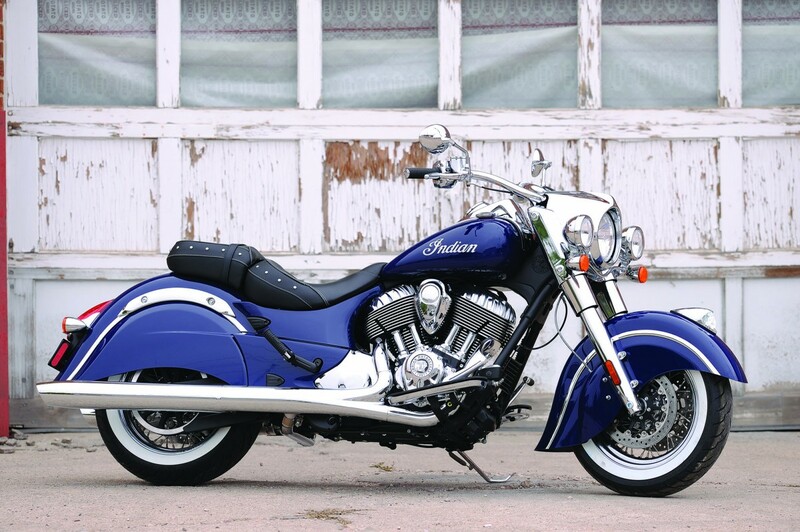 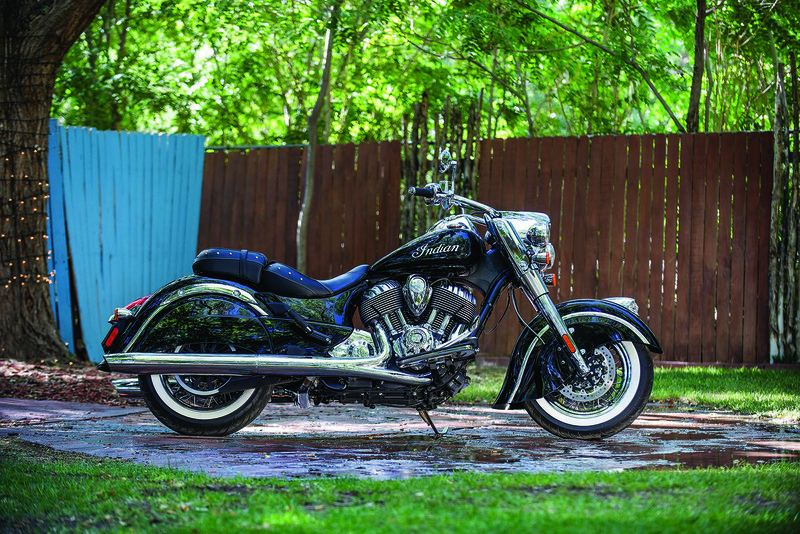 For 2014 the Indian Chief Classic is being offered in three colours – red, blue and black. 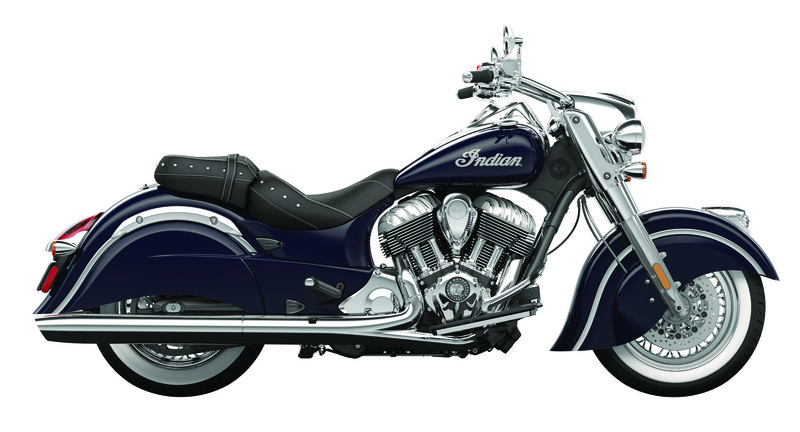 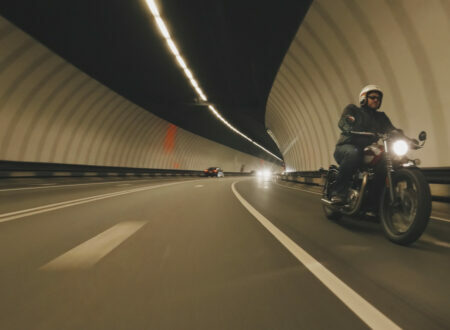 The leather saddle has room for two and the seating position is explicitly designed for long-distance riding – the new Indians are designed to traverse continents at highway speed without skipping a beat. Interestingly, all of the new models from Indian are being sold as standard with keyless start – you keep the key fob in your pocket meaning that when you climb onto the bike you can just push the ignition button and set off. 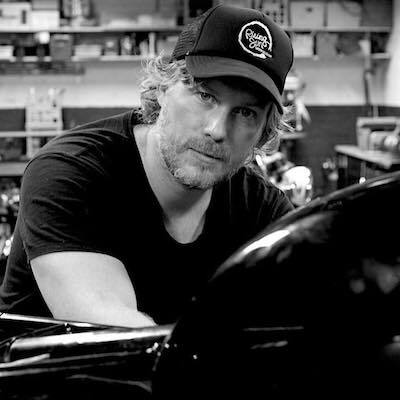 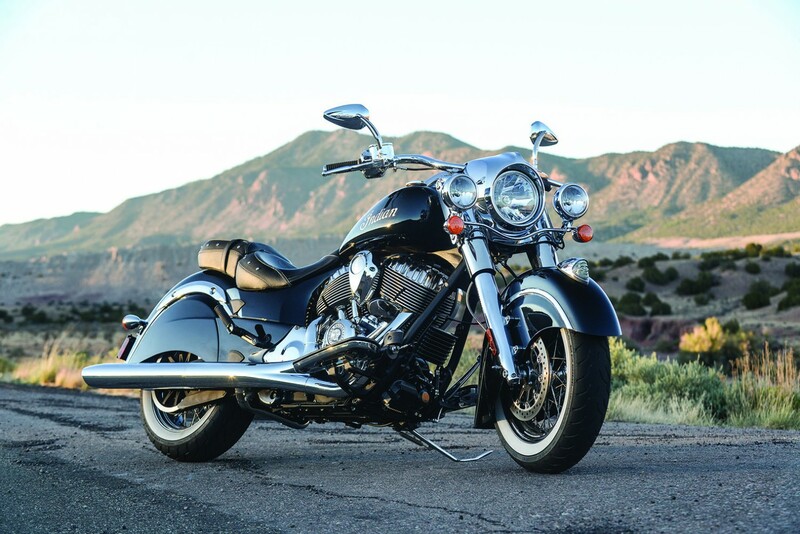 If you’d like to win yourself a 2014 Indian Chief Classic you can click here to enter – eBay Motors are giving one away and the sweepstakes draw is on the 11th of April 2014 – just set up your new eBay Garage and you’re in the running (it takes 90 seconds). 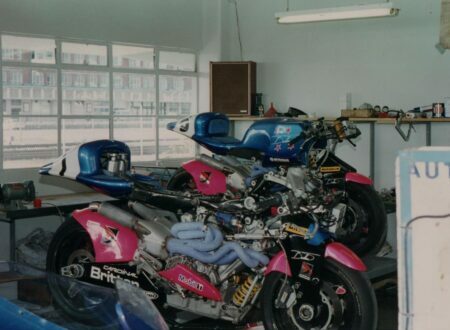 Burley Bat No. 5 by The Huntington Base Ball Co.